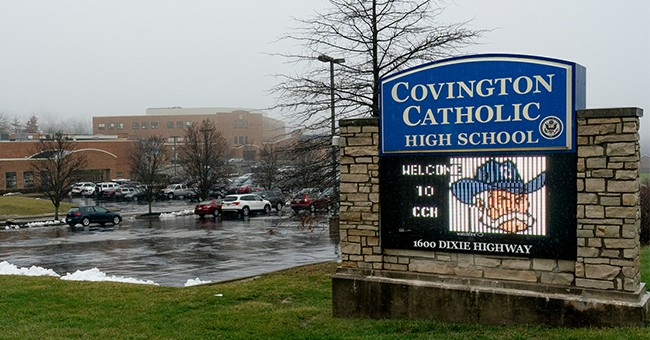 By now we’ve all been subjected to the pathetic media malfunction surrounding the children from Covington Catholic School and their verbal abuse at the hands of grown adults. I was on vacation out of the country at the time and could only follow on social media. Having seen the initial video and the ensuing outrage, I felt concern but not much else. I’ve been at this long enough to know that the whole story is typically much different from the clipped version. Admittedly I was a bit nervous that it might be true, but I’ve witnessed the media chaos in the wake of lots of tragedies. I’ve learned to hold my piece until the facts are in. The sad case of little Jazmine Barnes was only the latest example of a very sad story that turned into a national race battle because so many so-called journalists jumped to conclusions before they had the whole story. The media couldn’t wait to pin the Pulse shootings on a homophobic tea-partier. Of course the perpetrator turned out to be a radicalized Jihadist. And so on and so on. It’s at the same thing, tragedy after tragedy. Of course I expected the immediate outrage and blame to come from the left. After all, it’s what they do - speculate first and ask questions later. What dismayed me more was the reactions of conservatives. I saw many journalists and commentators rushing to condemn the child from Covington Catholic, chastising conservatives in the process. Some decided to tread lightly and only briefly addressed it. Many others put on the full mantle of rage, railing against those “problematic” #MAGA conservatives and scolding the right for not immediately condemning the behavior. It disheartened me. If anyone should know better it’s conservatives. I guess I was wrong. Before I go on, let me say I struggled mightily with publishing this. Many people I count as friends were those caught up in the media frenzy blame game, and while this post isn’t meant to condemn them directly, I recognize it could hurt some feelings. But I’m an opinion writer - it’s my job to say what I think. I don’t want to be a coward about my opinions. Just know that this was hard to write and I sought a lot of council on it. When the new media first started bubbling up it was truly a passionate, grassroots effort. But no one can work on passion alone forever. At some point most of us realized that we needed to monetize or get left behind. Soon corporate and private funding became a part of the process. Some people dropped off and pursued careers in other areas, others of us took the paychecks and began navigating legitimate careers in the political reporting industry. It was an exciting time. Although the issue of monetary compensation has been conquered, there is another type of currency that has suddenly become very important in the world of conservative political theater. I call it “mainstream street cred”. A radio-personality friend of mine calls it “Reputation Capital”. The leftwing mainstream media has done such a thorough job of demonizing all Trump supporters (and even people like me who are simply Trump-adjacent) that “enlightened” conservatives feel driven to separate themselves as much as possible from the undesirable #MAGA masses. This is not to say that Trump doesn’t have his own cult of personality. I recognize those people are out there, but in no way represent the totality of the Trump voter. Over 63 million people voted for the man. Statistically speaking there’s no way even most of those people are Literally Hitler™. It doesn’t really matter though because the prevailing currency for those pundits already making a living in the industry is mainstream cred. It’s valuable to be perceived as “more enlightened than” those other conservatives. We love our paychecks as much as the next person, but a tweet from a liberal celebrity or politician about how we’re the “good kind” of conservative can do way more for our brands than a click on a story. It’s a coveted currency. The rush of so many conservative pundits to immediately condemn the Covington kid ( and yes, The Covington Kid should totally be a series on TVLand) was nothing more than a race to see who could distance themselves from those “icky Trump conservatives” the furthest and quickest. It felt less like a sincere attempt at intellectual honesty and more like a play to be on record as “Not That Type of Conservative”. I’ve seen too many conservatives openly and blatantly declaring themselves superior to other conservatives because they “get it” and those other people don’t. What truly vexes me is that someone is reading this right now and saying, “But it’s true! Those NeverTrumpers/TrumpHumpers always act like that! They’re so rude!”, and that person is not self-aware enough to understand that the door is swinging both ways. Hard. I really would have thought that of anyone, the conservative commentary class would have known better than to immediately jump to conclusions based on a clip. The entire basis for the conservative new media was to combat selective editing and biased reporting. It is heartening to see so many walk back their original knee-jerk reactions and sincerely apologize. Those people are refusing to delete their mistakes as if they never happened and I appreciate that. We surely won’t see many gestures like that from the far-left Twitter mobs. But it concerns me that is was so easy for so many on the right to rush to condemnation in the name of being able to say they’re the “good kind” of conservative. Here’s a secret: you’ll never be good enough for the progressive left. There’s no need to sell out the average conservative reaching for a brass ring they’ll never let you hold.